What Is a Marcona Almond? 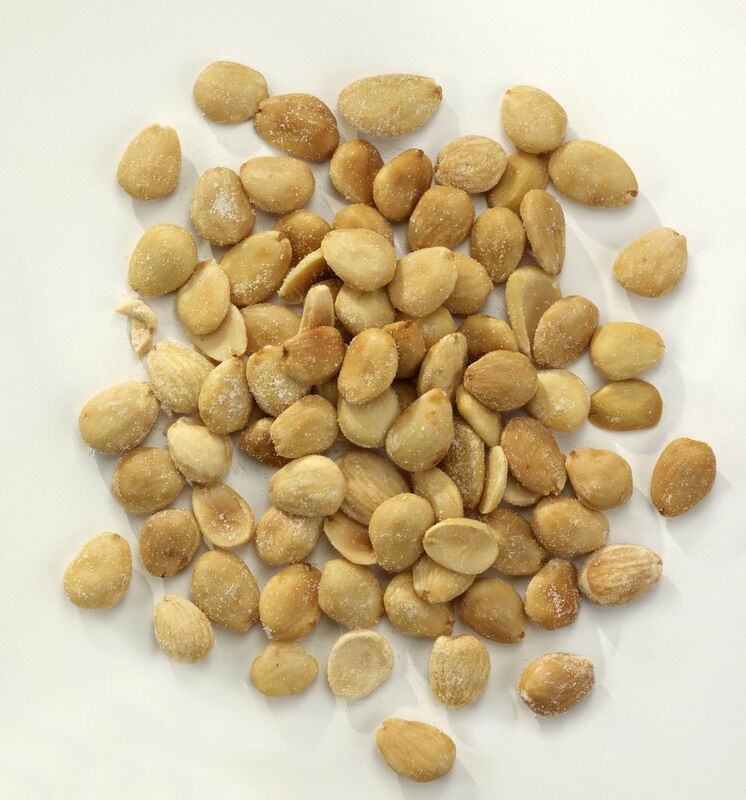 Marcona almonds are a type of sweet, gourmet almond from Spain that is very popular in Mediterranean countries. Although it has been imported to the U.S. for years, this nut has gained popularity in American restaurants and kitchens, their reach now extending from epicurean stores to bulk retailers. Their texture is closer to that of a macadamia nut, and they're rounder and plumper than the more common California almond we find at the supermarket. These sweet almonds can be enjoyed on their own as a gourmet treat or used in any recipe that calls for almonds. Nutritionally there is minimal difference between the more common almond and those from Marcona, but the flavor is another story. A Marcona almond is far sweeter, moister, and softer than the classic almond variety with a buttery flavor and texture. It has a delicate aroma and taste that is reminiscent of the almond essence used in baked goods. It is no secret why Marcona almonds are winning fans all over the globe, from gourmands to chefs to moms looking for a healthy snack for the kids. The nuts are sold raw, roasted, and fried with or without seasonings such as rosemary, truffle, and smoked paprika. Marcona almonds can be eaten in the same manner as typical almonds, but with their appealing mouthfeel and unique taste, these nuts turn an ordinary dish into something special. Try the specialty almonds in tortes, sautéed in oil and sprinkled over a salad, served with cheese (especially a Spanish variety), or chopped and added to baked goods, or even crepes. Elevate an already delicious recipe by swapping out ordinary almonds for Marcona. A baked honey Brie or baked apple Brie take on a sophisticated slant when garnished with Marcona almonds, and a bowl of spiced mixed nuts is an impressive snack for any gathering. An almond tart becomes even more decadent, and a recipe for almond macarons (the biscuit, not the delicate cookie) will have your family asking for more. When purchasing almonds, make sure you buy them from a place that has a high product turnover to ensure you buy the freshest nuts. When you bring your Marcona almonds home from the market, it is important to store them in a sealed container in a cool, dry place. The very quality that makes Marcona almonds so delicious—its high oil and moisture content—makes them particularly susceptible to becoming rancid, so buy only what you can use by the package sell-by date and store them properly. If stored correctly, these nuts usually have a shelf life of a few months, but heat and humidity can cause them to turn sooner. They can be kept in the fridge or freezer if you're trying to lengthen their shelf life. If the almonds aren't stored properly, they may become rancid. A bitter or sour taste or smell, or if they have darkened in color, are signs that the nuts have turned. While it's pretty rare for nuts to mold, it can happen if they're exposed to moisture so be on the lookout for that as well.